Discovering 2014: Garlic Cauliflower "Mac & Cheese"
Today’s project was Cauliflower “Mac & Cheese”, from the cookbook “Modern Hospitality: Simple Recipes with Southern Charm” by Whitney Miller. 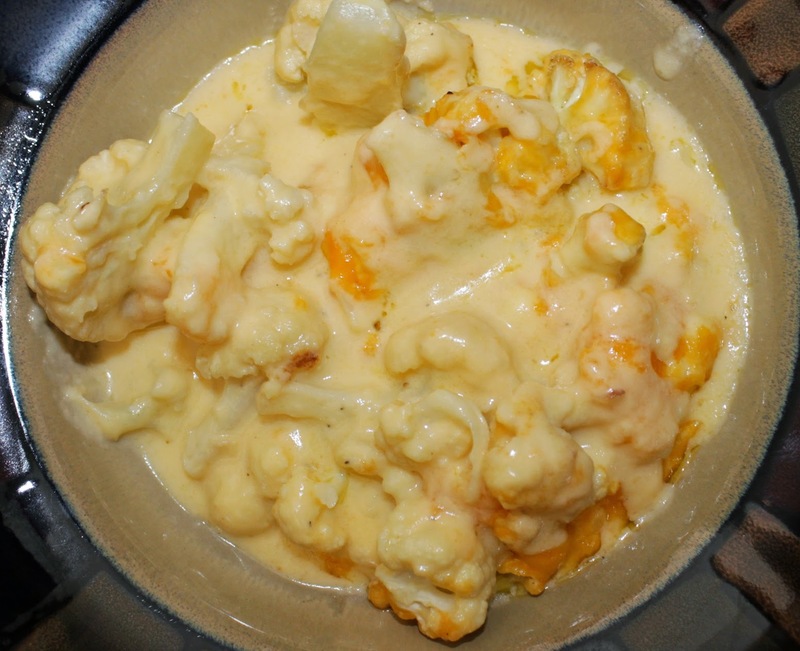 The husband uses the cheese sauce portion of this recipe for a few other meals we regularly have, but we had never made the full recipe before. We added a couple extra ingredients of our own! Before getting to the recipe, I’d like to mention that this brings the end to the planned recipes I’m featuring on this site. I’m not saying that I’ll never do another recipe on here again (because as soon as I say that I’ll prove myself wrong), but most of my recipes will instead be featured over on a joint-effort cooking blog I’m working on with a close friend of mine, Amy. Now back to our regularly scheduled recipe! Preheat your oven to 400°F. 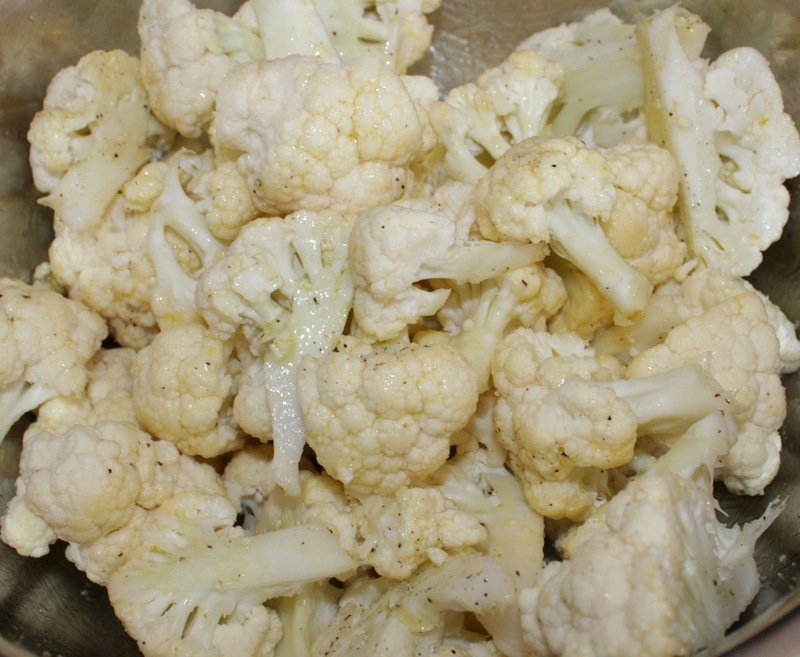 Toss the cauliflower florets in a bowl with the olive oil. Add the kosher salt, garlic powder and 1/4 tsp of the pepper, then toss it more in the bowl. Give your baking sheet a light coating of cooking spray then spread the florets out on the sheet. Bake 25-30 minutes in the oven until fork-tender and lightly browned (we did 25 minutes). Once done, reduce the oven to 350°F. Melt your unsalted butter in a medium skillet over medium heat. Stir in the flour and cook for 1 minute. 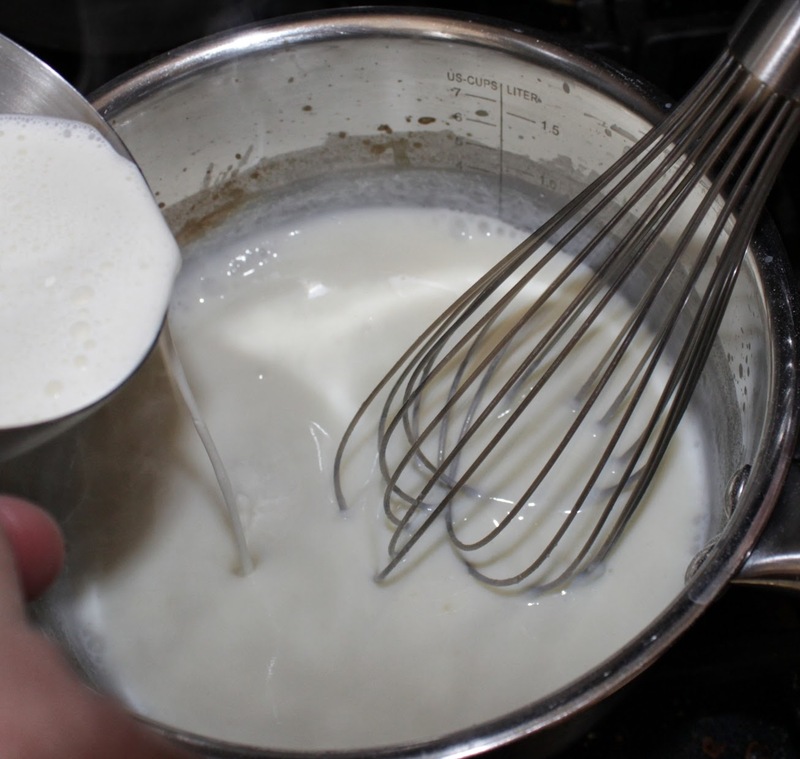 Slowly whisk in the milk and simmer over medium heat, stirring frequently for about 2 minutes until it thickens. 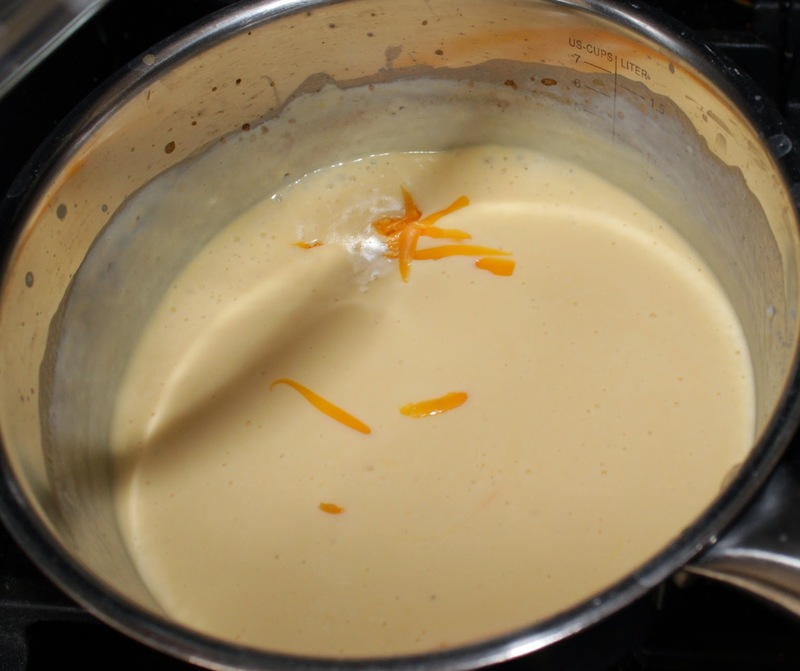 Add the heavy cream, whisking it into your mix, and cook about 3-5 minutes. 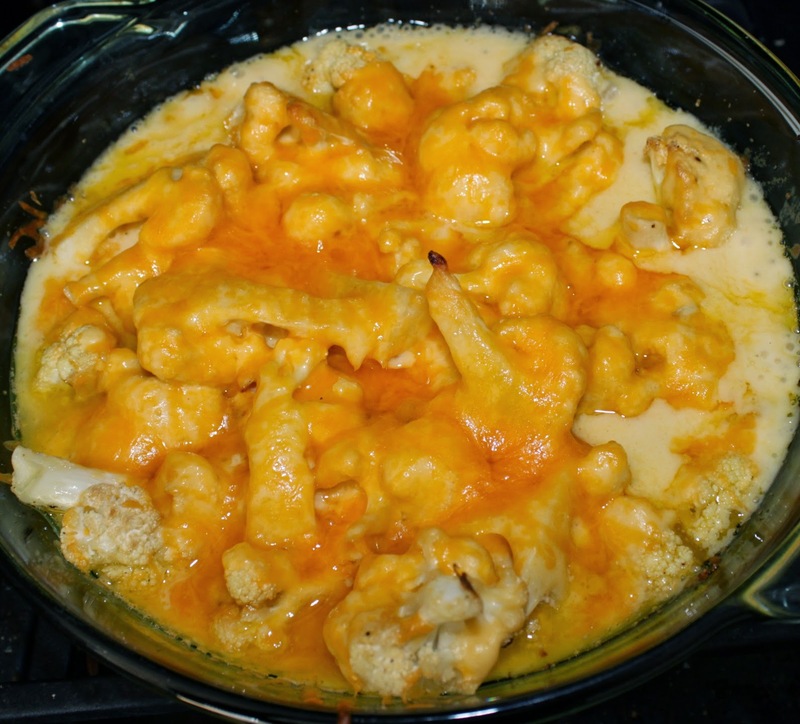 Turn the heat to low and stir in the table salt, the other 1/4 tsp of the pepper and all but 2 tbsp of the cheese. Once the cheese melts in, add in the parmesan cheese. The mixture will continue to thicken as it cooks; stir it frequently. 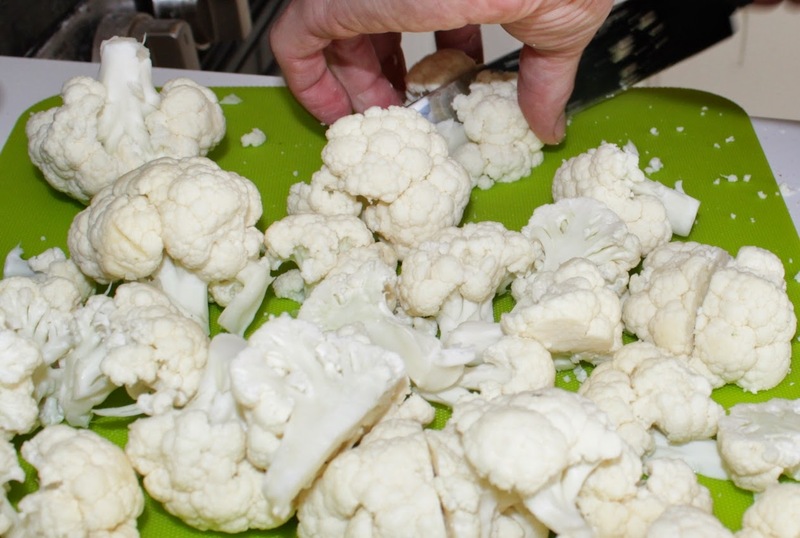 You can leave it over low heat until the cauliflower is done in the oven as long as you continue to stir often. With most of the cheese melted and bonus weird shadow! At this point the recipe calls for an 8×8-inch glass baking dish or four 10 oz ramekins. I had neither, but I did have a 8.25″ diameter glass dish, and that worked out just fine. 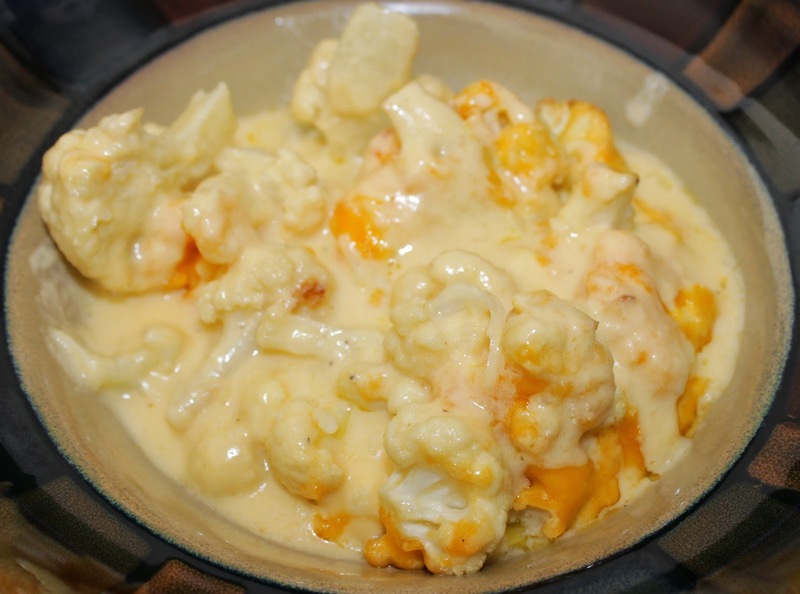 Whatever you’re using, first add the cauliflower, then pour the cheese sauce in, and finally sprinkle your remaining 2 tbsp cheddar cheese on top. Bake at 350°F until the cheese is bubbling, which is about 20-25 minutes (we did 25 minutes). Warning: Molten hot fresh out the oven! 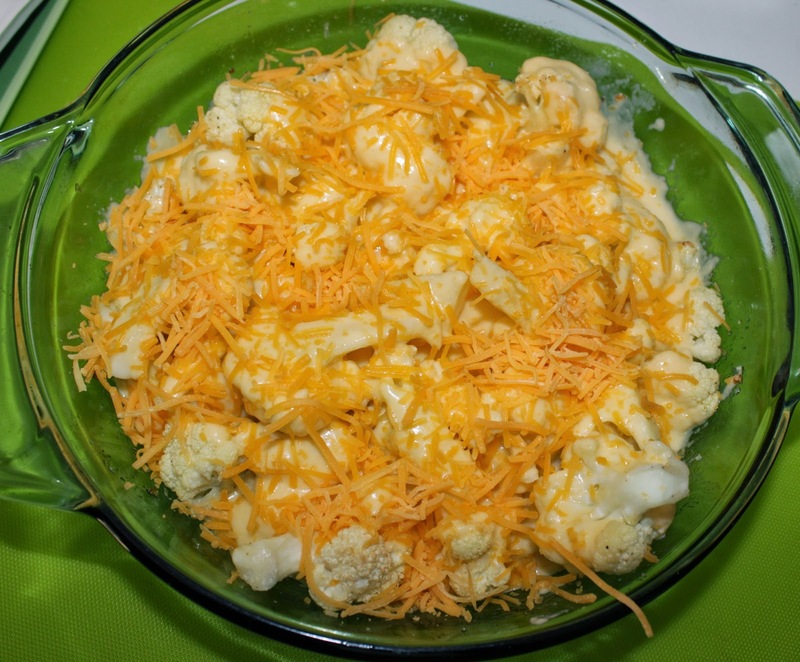 This side dish was quite tasty, but also quite time consuming to make, so it’s not something you want to decide to cook up at the last minute. Maybe one day I’ll take the time to see how a variation of this recipe works out in the crockpot! Tomorrow’s project is an Embellished Hair Comb!